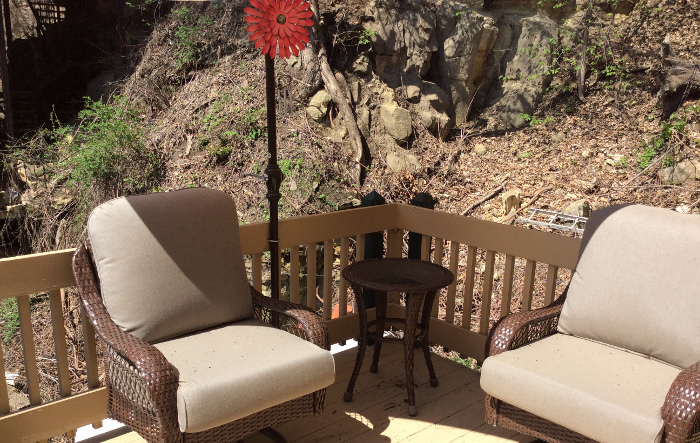 The Chalet Suite is in the back of Little Switzerland Inn against the bluffs, with a private deck where you can sit and enjoy the view. 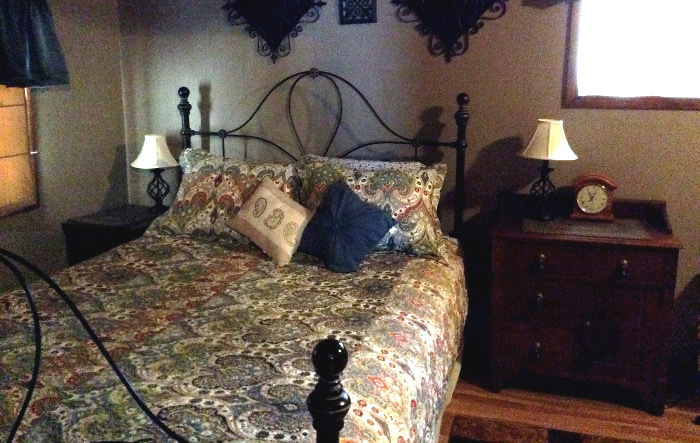 With a queen bed, two twin beds and a futon, it can accommodate up to six guests. It also has a two person jacuzzi tub. Great for the whole family, or just the two of you. The entrance to the Chalet Suite. 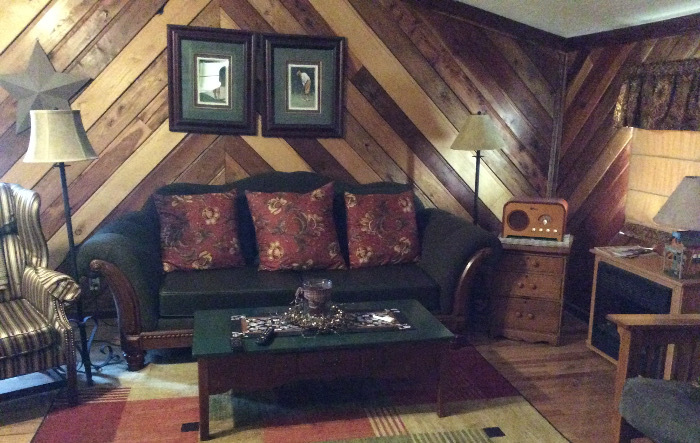 This spacious and comfortable living area provides a great gathering place. You’ll enjoy this Jacuzzi in the master bedroom. 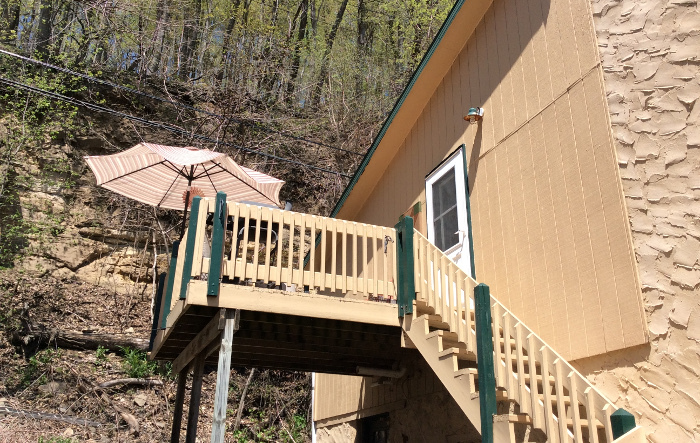 Your own private deck up against the bluffs.